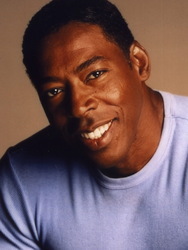 With over 100 film and television credits on his resume, Ernie Hudson has always been a unique screen presence capable of inhabiting any role. After founding Actors' Ensemble Theater while attending Wayne State University, a full scholarship at Yale University eventually led Hudson to his feature film debut in Leadbelly. He became an icon thanks to his role as Winston Zeddemore in the original Ghostbusters, and subsequently starred in films such as Weeds, Leviathan, Sugar Hill, The Cowboy Way, Speechless, The Basketball Diaries, Congo, and The Crow. More recent projects include an award-winning starring role as Warden Leo Glynn on the critically acclaimed HBO series Oz, and a role opposite Matthew Perry in TNT's original The Ron Clark Story.